The Government has fast-tracked part of the new Dunedin Hospital build, but it appears the overall build time will be extended. Health Minister David Clark announced at midday the hospital would be built in two stages, with an outpatient and day surgery building due to be finished more than three years earlier than anticipated. 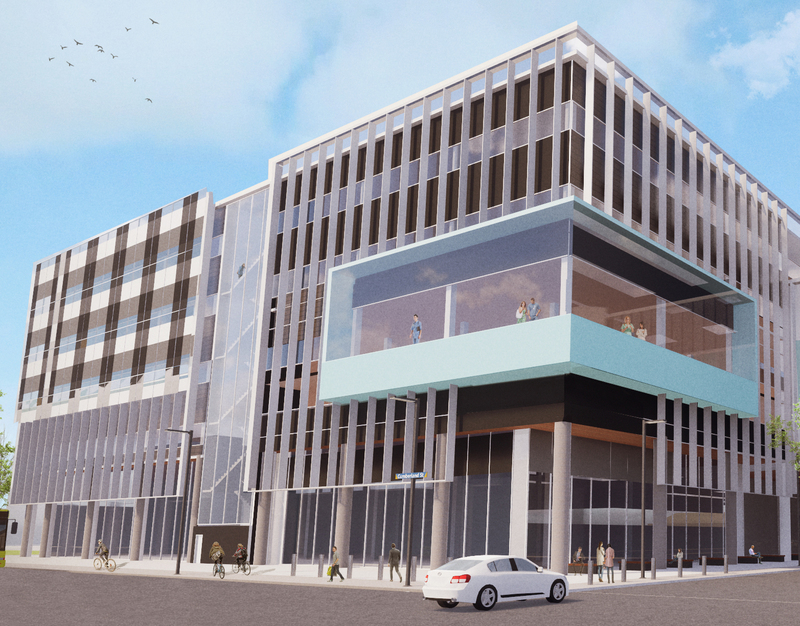 The new building is expected to be on the Wilson Parking building block on the corner of Cumberland at St Andrews St, and will need about 350 workers. The placement of what will be the smaller of two buildings on the Wilson block would mean a larger building planned would be on the former Cadbury site. The new plan is to open the smaller of the two buildings - the day surgery and outpatient building - in two stages: November 2023 and November 2024. But the larger inpatient building would be finished five or six years after that, meaning the end of the build would be between 2028 and 2030, rather than the mid-2026 date planned. Dr Clark said the build would be finished "in about 10 years''. Southern Partnership Group chairman Pete Hodgson said the two buildings would be tendered as two separate contracts, with local advantages. Mr Hodgson said the design and engineering contracts are due to be let early next year. Dr Clark said the decision came after "some months of thinking and planning'', and was conditional on the normal Cabinet and budgetary processes being secured. "The underlying issue is that the existing Dunedin hospital will not last the distance in its current state. There is simply too much damage, too much congestion, too many things to work around and no room to do so. "Had we done nothing, the existing hospital would have progressively struggled to deliver adequate services, especially in the emergency department and in surgical services. It would also be unreasonable to ask staff to operate under existing conditions for another decade. "Sadly, all of this is the direct and predictable result of years of procrastination and indecision in earlier times." Dr Clark said the current hospital did not have adequate day surgery capacity and had no room to build more. The Southern District Health Board and the Southern Partnership Group had considered every option to address the problem, and decided the best way forward was to fast-track building. Once day surgery was operating in the new building, space within the existing hospital would be repurposed to serve the needs of patients and staff. "That will mean the existing hospital will be much more functional for the last five or six years of its life,'' Dr Clark said. Day surgery would be able to start in the new facility in November 2023, he said. The larger inpatient building did not have a finish date yet, but was expected to be complete in about 10 years. The delayed master site plan for the hospital, originally expected at the end of October, is now due early next year. Southern District Health Board chief executive Chris Fleming welcomed the news. “Of course we would like to have some new day surgery theatres tomorrow but we have to be realistic about the complexity of the task,'' Mr Fleming said. Day surgery has been an issue for Dunedin Hospital for years. The current hospital has two small day surgery theatres which are no longer fit for purpose. That means many procedures are performed in the main operating theatres, with causing problems for other departments in the hospital. In October, Mr Fleming told the Otago Daily Times that planning was under way to reconfigure the emergency department. "We also have an absolute intention of redeveloping the existing day surgical unit to expand ED and relocate the internal medical assessment unit, but we have still to find a sustainable solution to rehousing them,'' he said then. Today's announcement promises earlier relief of those issues than anticipated, Mr Fleming said. The SDHB is now working on a business case for additional funding for infrastructure work at the present hospital, to be presented to the Ministry of Health.